A new short course aims to help senior managers in the nuclear industry understand the key issues in leadership and governance. The EXENUC-UK course is managed by the University of Manchester Dalton Nuclear Institute in collaboration with the Nuclear AMRC, Manchester Business School and International Nuclear Academy. Experienced tutors will work with managers operating, or planning to operate, in the UK nuclear industry, to help them understand the key factors behind successful operation. Lectures and group activities will focus on the interrelation between critical elements such as finance, risk, and nuclear good practice. Participants will learn about the context of the technology, lessons learnt from the past, and essential nuclear requirements such as safety, security, waste management and concern for the environment. For more information, please see the Dalton CPD Centre. 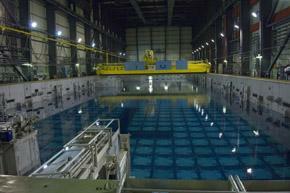 Nuclear AMRC members can book at a discounted price. The Dalton Nuclear Institute is also offering a new one-day course aimed at companies interested in the nuclear supply chain. The Introduction to nuclear energy course gives an essential overview of the UK nuclear energy industry. Topics include the basic concepts of nuclear fission and the nuclear fuel cycle, decommissioning in the UK and the management of radioactive waste, and the roles and responsibilities of different nuclear organisations. The first course takes place on Tuesday 12 April at the Schuster Building, The University of Manchester. For more information, see the Dalton CPD Centre. 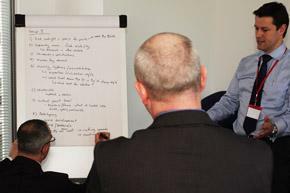 The Nuclear AMRC is launching a new series of supply chain workshops to help manufacturing companies prepare for nuclear new-build. Launching in early March, the one-day sessions will help delegates deepen their understanding of the requirements and challenges of manufacturing for nuclear new-build. Attendees will be equipped with practical tools to help them prepare their own businesses to enter the supply chain. The workshop begins with an introduction to the nuclear market, including a review of reactor technologies and components, and a look at how manufacturing can affect material performance within a nuclear environment. Delegates will have the opportunity to tour the Nuclear AMRC’s facilities on the Advanced Manufacturing Park, South Yorkshire, before splitting into specialised break-out sessions to examine areas in more details. Topics on offer include nuclear codes and standards, supply chain structure, skills development, working with universities on R&D projects, and tendering for contracts in the nuclear industry. Nuclear new build: what now for manufacturers? Tuesday 22 March 2011, Advanced Manufacturing Park. The next event in the AMRC’s successful Advanced Manufacturing Forum will provide an exclusive insight into the current state of the nuclear manufacturing supply chain. The seminar and networking event, titled Nuclear new build: what now for manufacturers?, will provide an update on progress in the UK’s nuclear power programme, and advice for manufacturing SMEs on how they can access the opportunities for new business. The morning event will include presentations from prominent companies along the supply chain, including EDF Energy, Rolls-Royce and Newburgh Engineering. The AMF takes place on Tuesday 22 March, at Dormer Tools’ facilities on the Advanced Manufacturing Park, South Yorkshire. For more information, contact amf@amrc.co.uk or download the AMF flyer.